Send Diwali Aroma Gifts to India : FREE SHIPPING!! 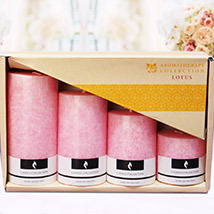 Magical Diwali Aromatic Gifts to Choose Gifting! Diwali is not just the festival of lights as Diwali is a name for the festival of gifts. Gifting is one of the most important rituals of the festival of Diwali. Apart from lighting, decorating homes, worshipping Ganesh and Lakshmi, god and goddess, people also gift and greet close and dear ones with Diwali gifts. It is the token of love that every gift and greet close and dear ones with express heartily feeling of affection, greet each other and spread happiness around. Thus here in the range of Diwali Aroma Gifts, we have come up with plethora of unique, impressive and colorful Aroma candles and alike gifting options to choose buying. 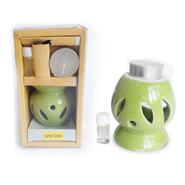 Some of the options to choose buying from are Ceramic Diffuser Pot, Diya Gift Pack, Diya N Candle Gift Pack, Diwali Diffuser Pot, Ceramic Diffuser Gift, Planter For Diwali, Peaceful Gift Combo, Attar Fragrance Candle Lamp, Attractive Set of Incense, Unique Good Luck Plant Hamper, Diwali Kreitens with Good Luck Plant and much more. So its time not to waste rather to place order now!